Have motorists been sacrificed on the altar of high-speed trains? Hampshire County Council has been very proud to tell us that its highways department has resurfaced more than 300 roads in the county recently. Hundreds of miles have been repaired, reducing potholes, using the latest range of techniques to keep our roads in good condition. Micro-asphalt, we are told, represents excellent value for money, extends the life of the road and is a recognised way of preventing more potholes and cracks. What a load of old tosh. I’ve seen this type of ‘make-do-and-mend’ work for many years now. Put down a load of Tarmac and bung some gravel over it. It’s nothing more that simply putting wallpaper on top of an old wall, covered in cracks, holes and more old wallpaper. We know that to do a proper job you have to strip off all the wallpaper and go back to a flat, bare wall. Quite a few roads in Alverstoke have been treated like this. The cracks and potholes remain, but now there’s a crunchy layer of grit and dust. The roads are rough, as you can tell from the tyre roar when you drive over them. I’d hate to be a cyclist and fall on to one. It’s not just our old, bumpy and lumpy roads either. 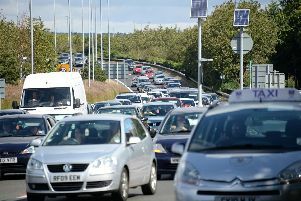 Many motorists are bemused by the signs on the side of the new A27 dual carriageway between Titchfield and Park Gate. ‘Beware, Uneven Road’ say the signs. It’s a new road for goodness sake, just laid. What did they use to flatten the ground with, balloons? While we sprinkle more gravel on our warn-out roads, the rest of Europe must be laughing at us. It’s ironic that the makers of the most comfortable and ‘wafty’ of cars have been French, when their roads are without doubt some of the best in Europe. There again, it’s not Hampshire County Council’s fault. It’s down to successive governments which seem to be against the motorist and the motor car. How about saving the billions being spent on a high speed rail link and use that money to build Europe’s best roads and finishing off our incomplete motorway network? I cannot tell you how proud I was when a photo popped up on my phone at work of Freddie outside the house on his way to school for the first time. He was so excited and really enjoyed his first day, even if it was for only a couple of hours. I’ve been impressed by how the school has been preparing the kids for their first day, with home and nursery visits beforehand so the children become familiar with their teacher. Freddie already knows the alphabet, counts to 100 and can tell the time from an analogue watch. So when will that time come when his homework becomes too difficult for me to help him with? At this rate, by the time he is six! What a weekend. I was at Bournemouth Air Festival, apparently working! The station takes over an area of beach and we fill it with bars and an entertainment stage. We broadcast from the beach and on Saturday night I did a four-hour DJ session on the main stage. As the sun went down, planes flew over with fireworks and lasers complementing them. On the beach, the party was jumping, as I played Underworld, Faithless and The Prodigy. The crowd were up for anything and, by the end, even Bucks Fizz and Dolly Parton had been played. You know it’s been a good night when these songs keep people partying. Boy, I love my job. 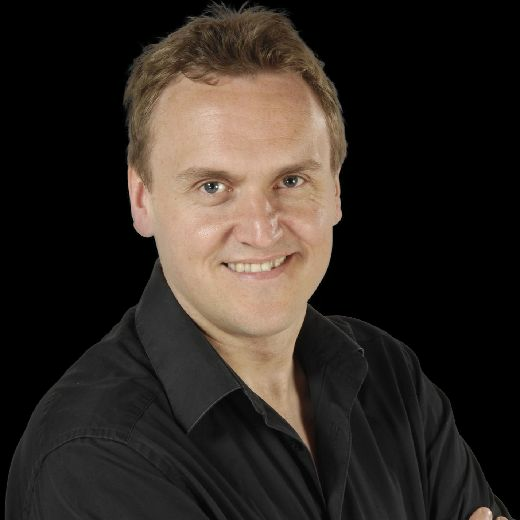 Listen to Rick at breakfast on Wave 105 Mon-Fri, 5.30am-9am.